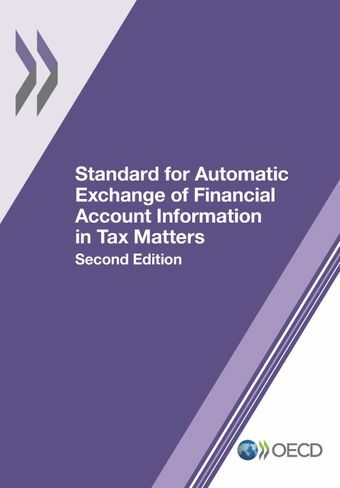 The Standard draws extensively on earlier work of the OECD in the area of automatic exchange of information. It incorporates progress made within the European Union, as well as global anti-money laundering standards, with the intergovernmental implementation of the Foreign Account Tax Compliance Act (FATCA) having acted as a catalyst for the move towards automatic exchange of information in a multilateral context. The second edition expands the last part on the CRS XML Schema User Guide. It contains additional technical guidance on the handling of corrections and cancellations within the CRS XML Schema, as well as a revised and expanded set of correction examples. The other parts remain unchanged relative to the first edition issued in 2014. 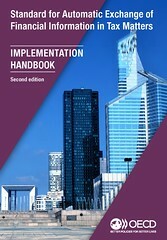 In addition to the CRS, the OECD has published the second edition of the CRS Implementation Handbook, which, although not part of the CRS, provides a practical guide to implementing the CRS to both government officials and financial institutions and includes a comparison between the CRS and FATCA. The OECD also maintains and regularly updates a list of CRS-related Frequently Asked Questions on the application of the Common Reporting Standard (CRS). The OECD has updated its standardised IT-format for providing structured feedback on exchanged Common Reporting Standard information – the CRS Status Message XML Schema – as well as the related User Guide. 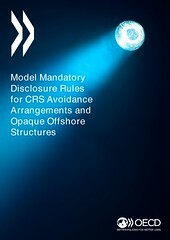 The OECD has issued model disclosure rules that require lawyers, accountants, financial advisors, banks and other service providers to inform tax authorities of any schemes they put in place for their clients to avoid reporting under the CRS or prevent the identification of the beneficial owners of entities or trusts.